Today we will give some basic idea about, how to install Android application on a FRP locked phone or tablet? As you know to remove FRP lock on Android phone or tablet you need to follow some useful steps ans also you need to install some apps on the device, but the question is how to install apps on a locked Android phone, which helps to remove or override the FRP lock problem. As you know if you hard reset an Android phone (Android 5.0 and above) it will ask to enter the email id and password before used on the phone. There are various way to install Android apps on a FRP locked phone and we will show almost all possible ways to go inside the phone and install the application you need on a locked phone, see the below details to know how to install apps in an Android phone or tablet which is locked. How to Install Apps On FRP Locked Phone or Tablet? If you are on the page where the Android phone ask to connect to Wi-Fi network, try the following. 2- Now enter any name in "Enter Network Name" then select the word by double taping on it. 3- Now click on "ASSIST" and then it will open the selected word with Google App. 4- Then search the Application name in Google App and it will open the app or Options. To Open File Manager = Type file and select File Manager or My Files etc. 5- If you have apps in SD card then search "File" and select "My Files" and then install the app, If you need to download the app using Internet then Search "Chrome" in Google app and then search the app in Google Chrome and then come back to Google App then search "Downloads" and now install the app. 1-Some Times you need to connect to a Wi-Fi network and click next and when it ask to enter the email id, you can follow the "METHOD-1" process from the step 3 to 5. If the phone has more then one keyboard i.e. Google Indic Keyboard, Swiftkey Keyboard and Android Keyboard etc. 1- Click on Add Network it will open Android Keyboard. 3- If not success then try to change the default keyboard to any other Keyboard available on the phone and then try to open the Keyboard settings. 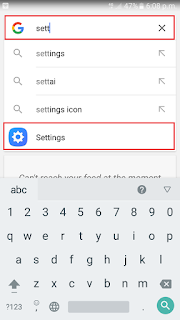 4- If you are success to open the Keyboard settings, then it's easy to go inside the locked phone, just click on "About" or "FAQ" on the settings menu. 5- Now select a word from the FAQ page and Click on Search icon on the top right corner of the phone. 4- Now you will see a call button just above on the screen, click on Call button, it will open the dial-pad. 6- Now click on Wifi Information and click back button inside the option, do not use the phone softkey back button. 8- Now click on Now Cards -> Show Cards it will open Google App and now you can follow the step 4 and 5 in "METHOD-1" above.